Now, I don’t think I just speak for myself when I say that there was a lot of scratching heads when this ABM journey began picking up speed over a year ago. Many voices echoed with, “What is this ABM thing everyone keeps talking about? What’s so new about it?” NetLine, for sure, has been no stranger to helping marketers target named accounts. In fact, we have for the greater part of a decade helped B2B companies build lead generation programs around target account lists. So, what has evolved since then and where do things exactly sit in this ABM ecosystem? 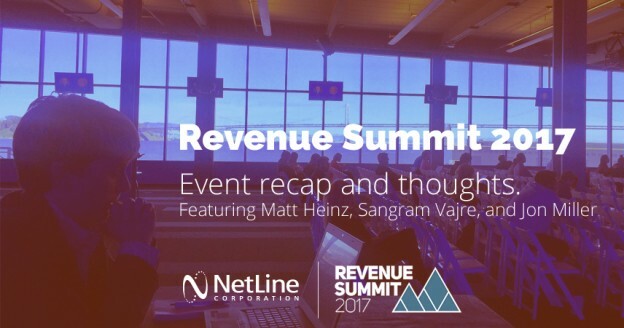 What value do events like Revenue Summit offer sales and marketing organizations? Well, one thing is obvious: you can’t execute ABM successfully without implementing at a more hyper-targeted level. Be methodical, specific, and purposeful. Sangram Vajre, Terminus’ CMO and Co-founder and Founder of #FlipMyFunnel, encouraged challenging the status quo in his opening session, stressing that while the old methodologies of marketing campaigns are still relevant, they will require some tweaking. How we market to the customer calls for focusing on how our prospects want to buy. We need to solve their challenges and empower them to succeed within their organization. 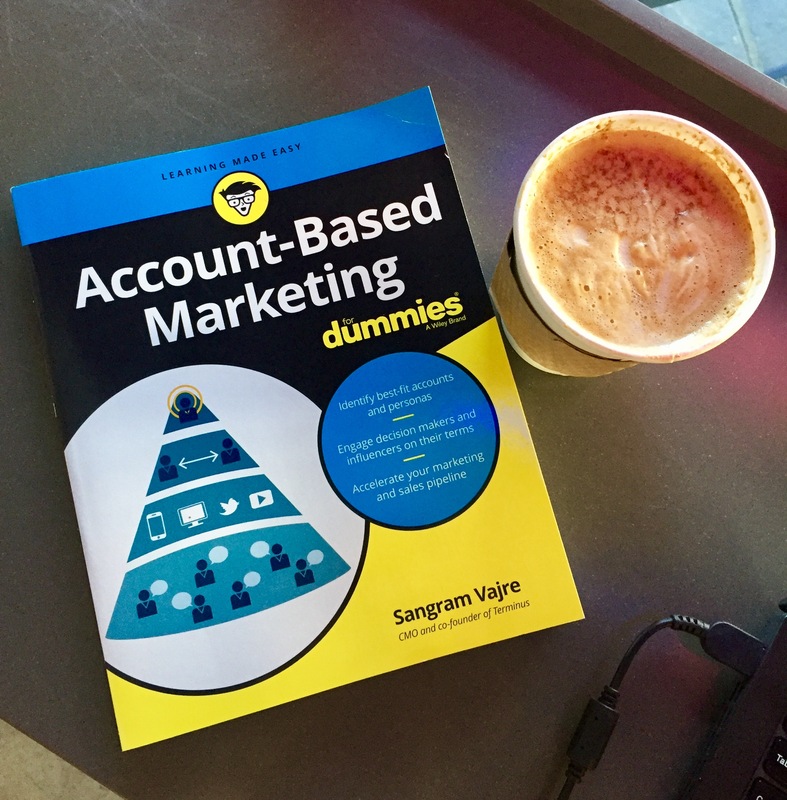 I was fortunate to grab a copy of his book, “Account-Based Marketing for Dummies.” Jon Miller is quoted emphasizing that marketers need to adopt the “Big 5 Metrics,” if they want to be successful in challenging this status quo. Engagement: Are the right people at the account spending time with your company and is that engagement going up over time? Program Impact: Are marketing programs reaching the target account, and are they having a long-term effect. Influence: Are the ABM activities improving sales outcomes, such as deal velocity, win rates, average contract values, and retention? Almost every session at the Revenue Summit focused on personalization. Matt Heinz’s “Best and Worst of Sales Emails” session offered practical solutions for your everyday sales org focused on increasing email conversions. He captured our attention from the beginning with a short entertaining video, “Bad Emails,” mimicking Jimmy Kimmel’s “Mean Tweets,” illustrating very badly constructed emails, like how one rep compared the recipient’s name with Kona the gorilla….ya. No joke. Writing impactful emails isn’t as easy as one would like to think despite how long we’ve had to become familiar with this tool. It requires understanding how people consume different types of information at every wave of the changing tide. Establish short, relevant, catchy phrases. They should serve as teasers, enough to “want to open the envelope.” And don’t be shy of A/B testing. Write 2-3 versions and see how they fair. You increase your chances of keeping their attention by maintaining a short body of 100 words or less. The earlier your relationship, the shorter the email. Always consider what you have to offer them. Will it stop them in their tracks? Use the “giver” approach—teach vs. ask: don’t create work for them. Consider offering ungated or free content. Don’t attach files in your first email—send them to a trackable link instead. Lastly, when we talk about context, consider even the small details like time and day the email is being sent. Matt also suggests the 3×3 approach. Take up to three minutes to find three things about the person you’re trying to earn business from…but don’t do it begrudgingly. All ends well that begins well. Salutations matter just as much as how you say your “see you when I see you’s.” Think about if you’re on a “hey” basis—should you really invite them out for drinks? Do they go by “Michael”, “Mike”, or “Mikey”—use LinkedIn as your guide. Lastly, research shows that “Thanks in advance” is the best method to end your email. Measure twice, cut once. 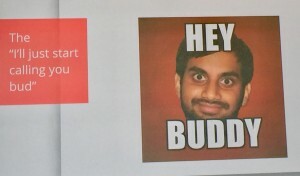 Who’s doing your QA-ing? Is Marketing writing your emails to ensure consistency in messaging? They should be. Have a process in place that ensures optimal results. Don’t forget you’re talking to a person. Take the business-to-business aspect out of it for a second and address your prospect like they’re a new resident to your neighborhood. If they’ve filled out a content registration form, visited your website, or stopped by your booth, what will your fruit basket look like? Oh, the love/hate relationship between Sales and Marketing. It’s the big toe on your foot. You can’t walk without it, but you’ll swear to want to cut it off every time you stub it when sharply turning the corner. I’ll let you figure out which group is the toe. The bottom line is that targeting key accounts requires hyper alignment between both teams. Account-Based Marketing also focuses on how to help both teams get in sync, speaking the same language, learning toing-and-froing like kids on a seesaw. BrightFunnel’s VP of Marketing and Sales Development, Dayna Rothman, shared a challenging perspective on the matter. Her session, “How to Hire, Structure, and Train Your Revenue Team for ABM Success,“ called for supporting revenue teams that are focused on account-based selling to report into marketing. Now, at first, Sales may be thinking, “no way Jose! Generating revenue is in our camp.” But here’s why this makes sense. One of the biggest ways to breaking the barrier between siloed sales and marketing team is to have SDRs/BDRs bridge the gap. They would be able to more accurately supplement marketing’s broad-based approach by engaging in personalized outreach, all while scheduling meetings for sales reps ensuring their business can close more effectively. 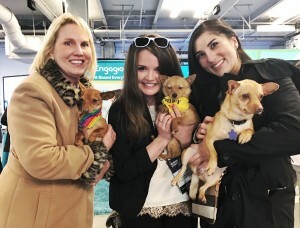 Speaking of learning to get along, what a novel idea to offer attendees the opportunity to adopt rescued cats and dogs! You know event organizers have their stuff together when the premise behind the event is about recognizing that every business person we try to reach is at the end of the day a human being. Enter a man’s best friend—the canine. 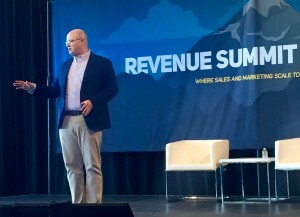 Just like Sales and Marketing historically having been known to not get along—like cats and dogs—Nikki Nixon, Director of Marketing from #FlipMyFunnel, thought it would be a great idea to inject some personalization into the Revenue Summit experience. These cute cuddles can be adopted from Rocket Dog Rescue. Is ABM here to stay? Time will only tell if Account-Based Marketing is here to stay for the long haul. We certainly can only speak from our own experience that while the concept of targeting named accounts isn’t new, how it’s achieved is certainly evolving. What’s great about partaking in an ecosystem such as this is that you get to see a very creative mix of young and seasoned organizations that all have a story to tell. Whether identifying key target audiences, generating intent-based leads, optimizing sales and marketing processes, or modeling predictive data, the ABM landscape won’t be going anywhere anytime soon. Not to worry, NetLine is here to stay. As mentioned before, NetLine has extensive experience in understanding the impact of targeting named accounts for any type of business. Whether you’re an Enterprise, SMB, or small-sized company selling to lines of businesses like, IT, HR, Manufacturing, or Marketing, we have a diversified portfolio of solutions for you. 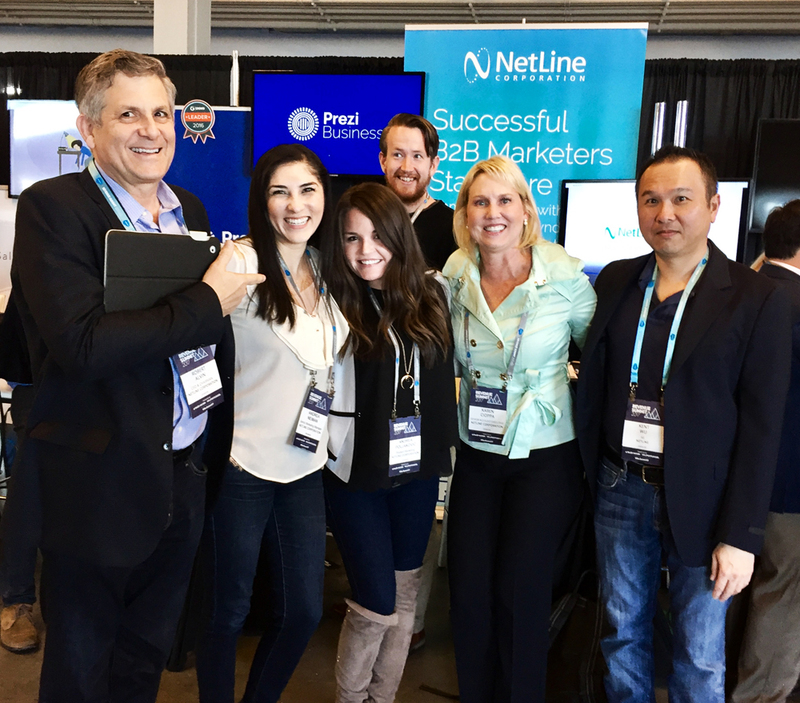 To learn more about NetLine’s most recent ABM expansion with first-party intent-based data, click here or contact our lead generation experts to plan your strategy today. If you’re not quite ready to run campaigns that support ABM strategies, you can still syndicate your content to generate the leads you need to drive revenue. Create a free NetLine Portal account and get started today with no contract required. 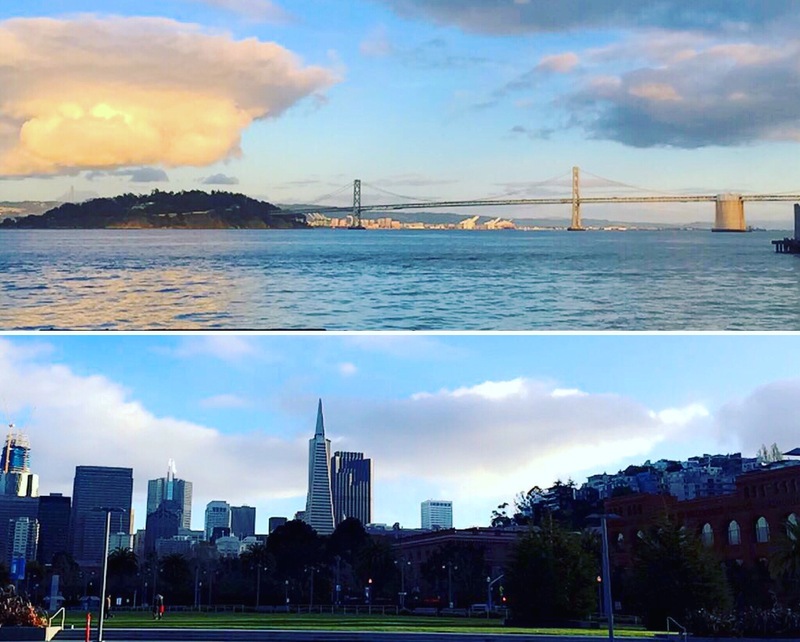 Revenue Summit was a warm and fun event that definitely corralled key players in ABM as well as those working hard to thrive. So, thank you to the folks at Sales Hacker and #FlipMyFunnel for joining forces to debut a great event where the team and I could benefit from the discussions, venting, learning, and teaching. Posted by Andrea Neiman on March 13, 2017 .